Millionaires not only create personal budgets, they also stick to those budgets religiously. Let’s face it: most people hate being on a budget. Most people, that is, except millionaires. You see, millionaires not only create personal budgets, they also stick to those budgets religiously. To the millionaire, his or her budget is really a short-term spending plan. It’s a detailed outline of what they choose to spend their money on – whether it’s their children, travel, home improvements, photography lessons, or some other hobby they enjoy. To a thriving millionaire, developing a well-honed budget is akin to creating a roadmap for maintaining a comfortable monthly cash flow, meeting financial goals, and measuring one’s financial progress. Millionaires understand the importance of having a budget because they look at it as the foundation for attaining the lifestyle they desire – and preserving that lifestyle. Millionaires know how a budget shields you from unforeseen financial calamities, gives you a blueprint for how to manage your income and expenses; and even protects you from what is often the biggest obstacle to achieving millionaire status: yourself. Unfortunately, a lot of us can be our own worst enemies – spending recklessly, charging too much on credit cards, or just flat out mismanaging our money. Well, a budget helps keep a lot of that in check. So before you can become a millionaire, it’s crucial that you change your mindset about what it means to live on a budget. 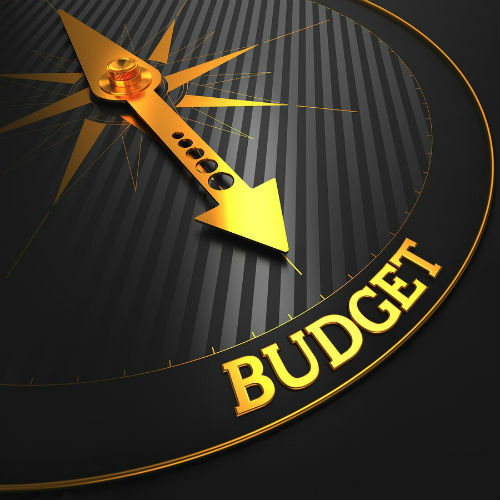 A budget is part of your Personal Prosperity Plan. However, most of us view a budget as drudgery. We look at living on a budget as deprivation, just as the dieter views the word “diet” as symbolizing all the things she can’t eat. Well, I don’t know about fighting fat. But in the battle for your finances, the old concept of deprivation is wrong. In reality, having a budget means that you are actively controlling your money instead of passively allowing your money to control you. Neither does having a budget mean that you’re “doing without”. On the contrary, people on a budget are choosing what they will do with their money, as well as choosing to “do without” certain things. Let me repeat that so you’re clear. There’s a big difference between doing without (because you have to), and choosing to do without because you want to. In the book The Overload Syndrome, author Richard Swenson notes that people with debt problems frequently have to simplify or downsize their lifestyles. Interestingly, he states that 86% of the people who simplified their lifestyle – by choosing to do without things they really didn’t need – were happier after they did it than they were before. This contradicts the bill of goods we’re constantly sold by marketers who want us to believe that material things give us happiness. It’s a powerful myth and one that most of us fall victim to at one time or another in our lives. Millionaires have managed, by and large, to escape the tease and lure of Madison Avenue. They don’t subscribe to the notion that you have to show off “bling,” “live large,” or own the biggest house on the block to prove that you’ve arrived. And here’s another area where the millionaire parts company with the rest of the world. Millionaires are not stressing over what’s in or not in their budgets, but most other people are. In fact, by every measure possible, consumers are experiencing unprecedented levels of financial insecurity. Because of the unprecedented amount of debt Americans are carrying, there’s more opportunity than ever to get into financial trouble and mismanage your finances. But financial missteps are more costly than ever. Even one-time mistakes can have a long-term impact – hurting your credit health for years and jeopardizing your overall financial well-being. Add to that the fact that financial literacy is not taught in this country and you have a recipe for financial disaster. It’s no wonder then that 7 out of 10 Americans feel like their finances are out of control, according to an Associated Press poll. Remember how I said millionaires use their budget as a guide to help them figure out what they choose to spend their money on? Well, the benefit of constructing such a budget is that it also helps you determine what not to spend (or waste) money on. I like this idea because it helps you put spending in proper perspective. 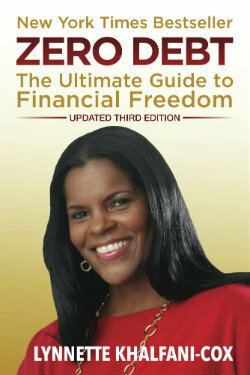 Excerpt from The Money Coach’s Guide to Your First Million, now in paperback.